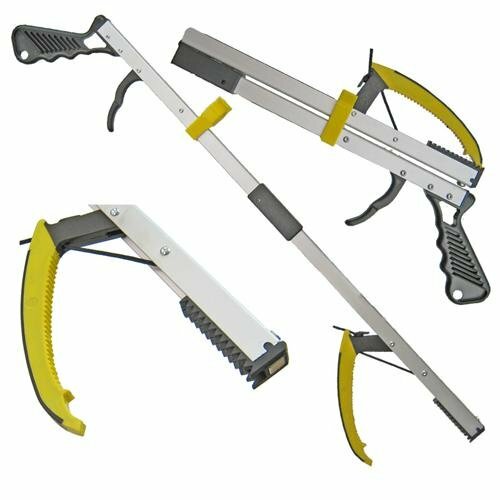 Here is one of the most popular classic design Reacher's and it has been improved with special yellow gripping surfaces and handy pull lug. Keep you Reacher handy with yellow snap clip. Fits tubing on most wheelchairs and walkers. Magnet at end can pick up metal objects like staples, paperclips and key rings, etc. If you have any questions about this product by ArcMate, contact us by completing and submitting the form below. If you are looking for a specif part number, please include it with your message.